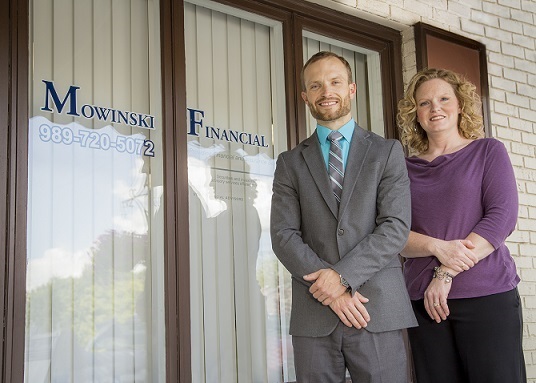 Welcome to Mowinski Financial, a full-service company focusing on financial planning, investment management, insurance services, and group benefits. Feel free to browse our site, you will find a variety of articles, calculators, and research reports. We offer financial and insurance services tailored to your individual needs. Mowinski Financial is commited to helping you pursue your long-term financial goals. Will I be able to retire early? What pension and social security strategies should I use? How will the health reform affect me and/or my business? What income strategies would be best suited for me during retirement? How much money will I need in order to retire? What are my Employer-Sponsored plan distribution options? Should I have a traditional IRA or a Roth IRA? Do I need disability income insurance? Long-term care insurance? How can I ensure that my children receive as much as possible from my estate? If you have any questions, contact us at 989-720-5072 or e-mail us at brent.mowinski@voyafa.com. We will be happy to help.We look forward to talking with you!